O ctober is Fair Trade Month, and we encourage you to celebrate it with Global Crafts and the Fair Trade Federation! Our fair trade month theme is Fall into Fair Trade, where we are helping wholesalers and retailers inform customers and buyers about 360° fair trade. FTF is a community of businesses committed to 360° fair trade, which means FTF businesses are socially, economically, and environmentally responsible in everything they do. Global Crafts has been a member of the Fair Trade Federation (FTF) since 2005 and is very involved in supporting the 360° fair trade movement. The Fair Trade Federation has launched a new fair trade resource section on our website for Fair Trade Month! The resource section includes brochures and handouts that can be printed and used at point of sale to help answer customer questions. One of our most popular handouts is the redesigned FTF Fair Trade Principles. The section also includes helpful articles for retailers, such as this post explaining the difference between Free Trade and Fair Trade, as well as fair trade books and films. As a retailer, you are the direct link to customers – our goal is to give you the tools you need to explain and celebrate fair trade in your store. The Fair Trade Federation has a rigorous screening process that verifies fair trade practices. Our members work with small farmers and artisans in holistic partnerships built on trust. These relationships go beyond ensuring fair wages and safe working conditions – they empower producers to strengthen their communities and grow their businesses sustainably. Buying from FTF member wholesalers is the best way that you can ensure the products in your store are sourced according to the nine fair trade principles. We know this is important to you, and important to your customers. 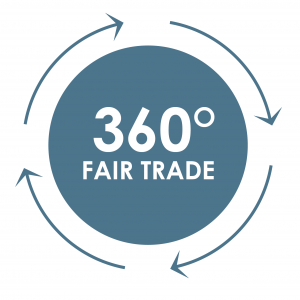 Use the FTF search feature on our site to find verified 360° fair trade companies. Also, look for our logo on products as a trusted mark of dedication to holistic fair trade practices. Are you an aspiring social entrepreneur? FTF members and others have shared their experiences of starting a fair trade business. Tips on how to get started as well as advice on the challenges you may face can be found in the link above. We can also answer your individual questions and provide free print resources; email us at info@fairtradefederation.org to be connected to our team. Join the movement and attend the FTF annual fair trade conference and expo held every spring. The 2017 conference and expo will take place March 29-31 in Louisville, KY. The conference will feature three days of sessions focused on building fair trade businesses. The expo provides the opportunity for attendees and visitors to meet FTF wholesalers and to see their beautiful products in person. To receive up to date information on the conference and expo, join the FTF email list. Follow FTF on social media for ongoing updates throughout fair trade month. We are on Facebook, Twitter, Instagram, and LinkedIn. You can also visit World Fair Trade Day on Facebook to stay up to date. Rachel Spence is the Fair Trade Federation’s Engagement Manager, responsible for communications, public engagement, and advocacy for fair trade principles and practices.